We have all used water today. How did you use water? Water is precious. All the fresh water in the world has to be reused again and again. We must not waste it. 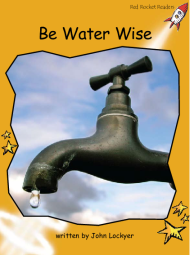 What are some ways that people waste water? People who save water are water wise. How can we save water?